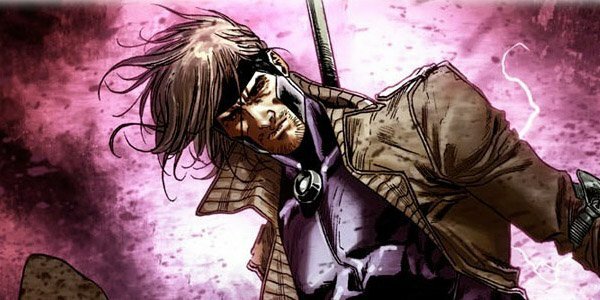 Fox’s Gambit spinoff, set to star Channing Tatum as the card-carrying mutant, is still operating under the cloak of pre-production darkness, but a new report from Showbiz 411 claims to uncover when the project will go before cameras, as well as which supporting roles have yet to be cast. The site’s reporter was sent a casting call for a Fox movie titled Chess, which will be shooting in New Orleans this October. Through some snooping, it was uncovered that this Chess project was none other than Gambit, which Rupert Wyatt is directing. The Louisiana Economic Development’s “Fast Lane” website (linked to by Comic Book Movie) estimates that Chess “will cost $154,975,309, over $111 million of which will be spent in Louisiana and about $30 million of which will go to local employees.” Certainly sounds like the kind of budget we’d expect to see for a franchise property. Nonna—Female, any ethnicity, mid 20s – 30 years old. Though some of these names could be pseudonyms, like Chess is for Gambit, those descriptions make these characters out to be criminals. That would suggest we’re in for an origin story that will chart Remy LeBeau’s origins as a member of the Thief’s Guild, which (in the comics) had a brutal feud with the Assassin’s Guild. Fox has got to be playing its cards carefully with regard to the Gambit spinoff, seeing as the character is far less popular than the only other X-Man to score his own spinoff (to date – Deadpool is out next year). Even with Tatum in the lead role, it may be tricky to market Gambit and launch a franchise around the somewhat ridiculous character, which is why it’s going to be fascinating to watch this project come together.